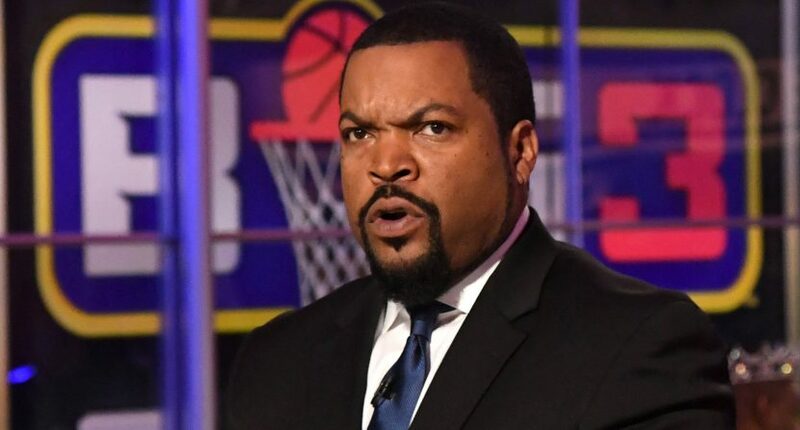 There have been a lot of strange developments in the never–ending saga of the former Fox regional sports networks, especially when it comes to Ice Cube’s involvement. Thanks to a report from Forbes’ Madeline Berg, we now have a lot more details on that, including how the $10 billion bid’s finances line up and what the programming plans might be for this group, and Bloomberg’s Nabila Ahmed and Scott Soshnick add that the likes of Snoop Dogg, Serena Williams and Kevin Hart are involved on the programming side. These details raise a whole lot of questions, but first, it’s worth looking back at the timeline of Ice Cube’s involvement here. While private equity firm Centerbridge Partners LP and jewelry maker Carolyn Rafaelian are financial backers of the bid, Ice Cube is teaming up with Williams, Snoop Dogg, Kevin Hart and Michael Strahan’s SMAC Productions as content partners. …Big3 presented a plan to expand the Fox networks with 24-hour, culturally diverse national programming built around live sports, people familiar with the situation said this month. …Rapper Snoop Dogg said Big3’s plans represented a new approach. “We’ve had the same ole people delivering us sport and culture forever and I join the movement because we’re here to change all that,” he said in a statement. Rafaelian, Macquarie and Centerbridge will each commit $1 billion, while Big3 will put in between $350 million and $500 million. The group will issue debt for the rest. Yes, that would be the same Mark Geragos who the Wall Street Journal reported was a co-conspirator in Michael Avenatti’s bid to extort Nike, and who CNN (where he’d worked as a legal analyst) was quick to disassociate themselves from Monday. But he’s just one of the many people investing in the Big3. And what’s also notable there is that the league as a whole is putting in just $350 to $500 million, less than Rafaelian, Macquarie and Centerbridge; Berg writes that Rafealian’s contribution alone is through a combination of cash and debt, and that she’s “willing to leverage an absurd amount, nearly all of her net worth, on a strategy for the network that still seems pretty vague.” Ice Cube is of course a more recognizable name, so it makes sense that he’s featured in this coverage, but on the financial end, it sounds like he and the league he’s involved with really aren’t the heavy hitters here. And speaking of heavy hitters, there are further questions for this bid on that front. The $10 billion price fits with where the second-round offers for the 21 non-YES RSNs were estimated at in February, but that was before Sinclair and Apollo Global apparently dropped out, and before Liberty Media and MLB jumped in. Yes, the final price could wind up being around that level, but the seemingly heavily-leveraged nature of the BIG3 bid might make them a less-compelling suitor. The people involved in the other bids seem to have a lot more in the way of assets, and to have more experience with the content that these RSNs actually show. And while the Forbes piece floats that the BIG3 strategy of “content that ‘puts more synergy in the world’ and attracts a diverse and young audience with talk shows, series focusing on the intersection of sports, culture and politics, and a premium take on a shopping network” might be less in competition with ESPN than the other bids, that doesn’t really seem to add up. The current RSN model is heavily focused on local teams (especially in baseball), with even most of the lightly-watched non-game shoulder programming emphasizing those teams, and that’s not really content similar to anything on the national ESPN channels. “Talk shows and series focusing on the intersection of sports, culture and politics” sound much more like what ESPN is trying to do, especially as that sort of vague “intersection” logic has been used to promote everything from Get Up to High Noon to The Undefeated. So it’s not clear at all that Disney would prefer to sell the RSNs to this group. All in all, there may be benefits for Ice Cube and the BIG3 group even if their bid is unsuccessful. They’re certainly getting a lot of attention out of this, especially when it comes to linking their names to these various “content partners.” Maybe that will work out, and maybe we’ll see the RSNs sold to this group and suddenly pivoting to programming from Kevin Hart and Snoop Dogg, plus a “premium take on a shopping network.” Or maybe it won’t, and this group will just reap the benefits of all the free media exposure they’re getting, similar to anti-Qatar “letter” ads that really just promoted the BIG3 schedule.